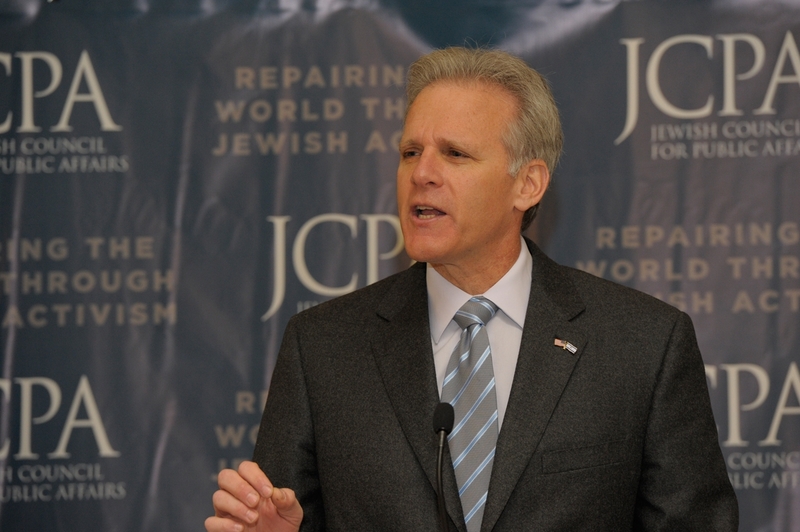 JERUSALEM (JTA) — Michael Oren, the former Israeli envoy to the United States, will run in Israel’s upcoming elections. Oren was presented Wednesday as a candidate for the new political party Kulanu, headed by former Communications Minister Moshe Kahlon, who left the Likud Party in 2013. Kahlon said Oren would help retain good relations with Israel’s allies. “Michael Oren is the right person to handle this responsibility. He proved that, even when there are disagreements, he can maintain close ties. Michael is the best in his field,” Kahlon said Wednesday in Tel Aviv. Oren, a resident of Jerusalem, earlier this year called for a unilateral Israeli withdrawal from the West Bank.